At an investor day, ENGIE announced that, "ENGIE’s ambition is to be the world leader in the growing market for integrated zero-carbon solutions." ENGIE said that each of ENGIE’s business lines is aligning to these customer requirements to enable the zero carbon transition: high value-added solutions which are tailor-made, technologically sophisticated, and often enabled by ENGIE’s leading access to bespoke syndicated financing. Notably, in its Supply segment, ENGIE said that, "ENGIE is continuing to increase its consumer and business contract base, driven by innovative offers and improving service quality. The profitability of this growing customer base is forecast to be offset by industry margin pressure in the consumer segment, and in this context ENGIE’s strategic ambitions in this segment remain limited to our current country footprint." 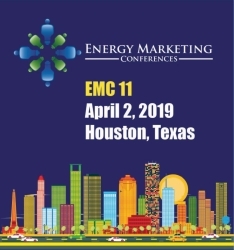 • Accelerating growth in Client Solutions across a broadening array of services including on-site co-generation, heating and cooling networks, public lighting, rooftop solar and EV charging stations. • In Networks, the Group will continue to generate attractive returns and substantial cash flow. In France, the next regulatory return review will be effective in 2020, and ENGIE will continue to invest in the sustainability of its gas networks, adapting to future green gas requirements. ENGIE will also actively seek attractive opportunities to invest in the growth and energy transition management of networks in dynamic developing markets. • In Renewables, ENGIE is further scaling its design of complex, multi-source, profiled power purchase agreements (PPAs) and 24/7 green energy flows which are now widely sought. Over the longer term, ENGIE will play a leading role in next generation renewable platforms including offshore wind and green gas. ENGIE targets 50% of new renewable projects dedicated to specific customers by 2021, to be a leading corporate PPA supplier, and to be the world leader in 24/7 green PPAs. The Group plans to add 9 GW of renewables capacity to its portfolio by 2021. • In the other generation businesses, ENGIE will continue to optimize operations, reducing its CO2 footprint. ENGIE will further narrow its thermal capacity, reducing coal generation and selectively honing gas-fired capacity to customer requirements, including combined technologies such as desalination and co-generation. ENGIE’s Belgian nuclear operations continue to stabilize, with operational availability anticipated to rise as previously announced.